I wanted to start a thread showing others my Figure Players in Super Smash Bros., but everyone is welcome to do so. If you've always wanted to share with others your favourite FPs, this is your one-stop destination on WiiWareWave! The first FP I wanted to show you guys is my Mario amiibo. 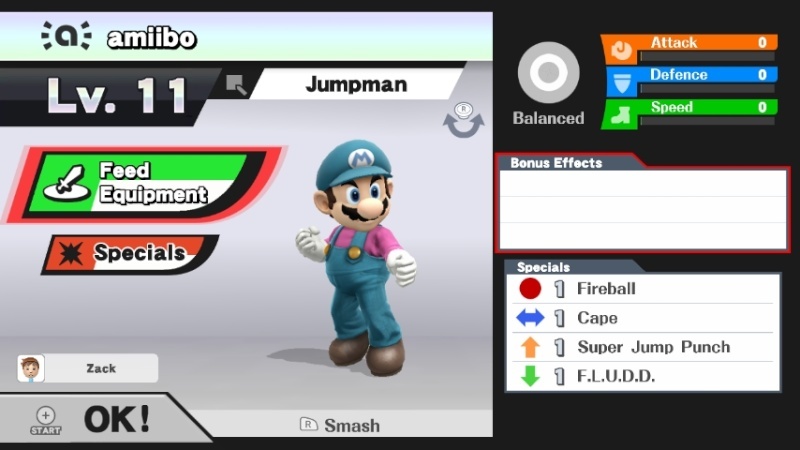 He has the colours of Mario's clothing on the Japanese boxart of Mario Bros. for the NES, and I named him "Jumpman" after the hero in the arcade game Donkey Kong. The second FP in my initial showcase is my Link amiibo. I gave him a purple tunic, and named him "Ravio", after the helpful character in The Legend of Zelda: A Link Between Worlds. 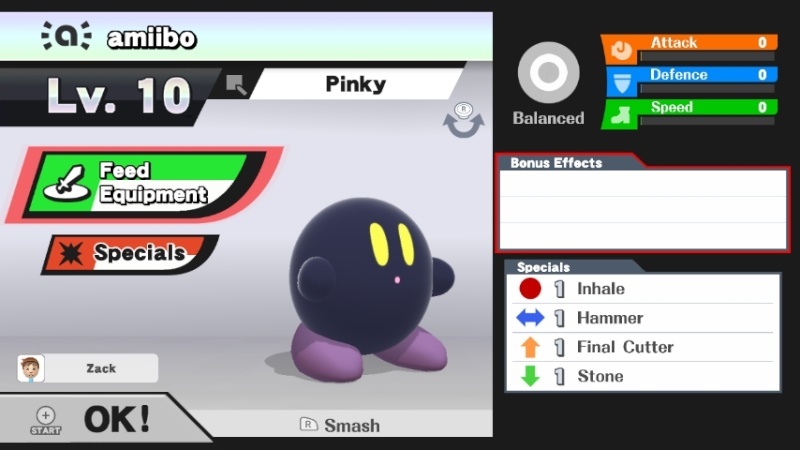 My third FP tonight is my Kirby amiibo, "Pinky". This little guy is a tribute to my favourite Nintendo webcomic, Brawl in the Family. Next, we have my Pikachu amiibo, who is currently my only FP who wears an accessory as his costume. When choosing a name for him, I thought about giving him a name which was similar to Pikachu, yet in English. "Pikachu" translates into English as "electric mouse", which I shortened to "Elemouse" to fit the 10-character limit. The final FP I'd like to show you for now is a recent addition to my collection. It's my Mega Man amiibo, "Rockman"! I used his Japanese name since it's awesome, and I picked a rockin' colour scheme for him to match. Well, I hope you enjoyed this peek into my FP team. I'd like to show you some more characters in the near future, including my Yoshi, Donkey Kong, Zelda, Meta Knight, Charizard, Greninja and Sonic amiibo, plus others.